A successful business is not only the result of a great product, excellent client service and lots of hard work. Often what makes or breaks a business is our attention to detail. A little knowledge of the law can go a long way in ensuring your business success. New laws will shortly come into effect which may impact the way you do business, whatever industry you are in. Protecting your rights is simple and when you have the right documents inexpensive. Wheat Pty Ltd (Wheat) supplies Bakery Pty Ltd (Bakery) with wheat on a weekly basis, subject to Wheat’s terms and conditions, prepared in 2004. Flour Pty Ltd (Flour) supplies Bakery with flour on a weekly basis, subject to terms and conditions which were revised in 2011 to take into account the changes in the law. Flour had its terms and conditions updated due to recent changes in the law. Flour also registered its Purchase Money Security Interest on the Register against Bakery at a cost of only $7.00. This ensured that Flour secured its debts against the goods it supplied. When we gaze into our magic mirror toward the future, we see that in 2012 times get tough. Bakery has acquired a cut-throat competitor. Delightful Dough has opened around the corner, with significant discounts and a delicious secret recipe which keeps the customers coming back for more. As a result, Bakery is struggling financially and is unable to pay Wheat and Flour. Wheat and Flour send stern letters to Bakery, demanding payment, but their demands are met by silence. Wheat attends at Bakery’s premises and begs Bakery to return the wheat, in accordance with a retention of title clause in Wheat’s 2004 terms and conditions. Darker days follow, and Bakery is found to be insolvent and a liquidator is appointed. The liquidator finds that the wheat was wrongfully removed from Bakery’s premises, and forces Wheat to return the product as it was not registered on the Personal Property Security Register. Wheat wasn’t aware of this Register, and didn’t know that its 2004 terms and conditions were no longer sufficient. The liquidator then went on to sell the wheat, flour, bread and other items. Flour had updated its terms and conditions and had registered its interest on the Personal Property Security Register. Flour recovered everything that was owed to it. 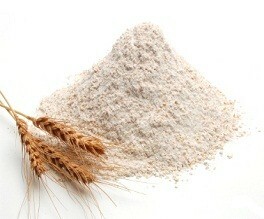 After payment to Flour, there was no money left and Wheat recovered nothing. So what is the moral to our floury fable? The difference between the success and failure of your business may lie in small and simple details such as these. You can take steps to protect your business by ensuring that your terms and conditions comply with new laws coming into effect in October 2011. You can then also register your Security Interest at a Government fee of only $7.00 for a period of seven years.